At 100Kin10, partners are most successful when they make strategic use of the broader network, leveraging it to meet their organizational goals and 100Kin10 commitments, while solving the big system-level challenges that inhibit meaningful STEM learning. 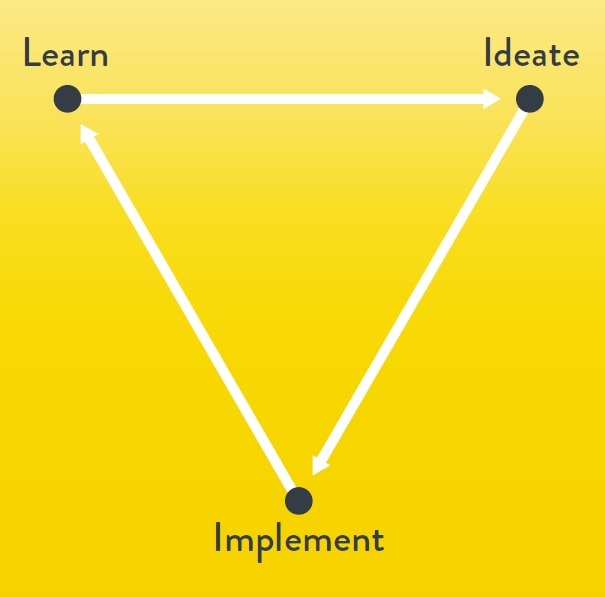 The network encourages partners to learn from one another’s successes and failures, collaborating whenever possible to develop solutions and implement breakthrough ideas. Within this framework, each partner has its own journey. Many come together as a result of 100Kin10 events such as the Annual Summit, a Solution Lab, or a White House meeting. To learn about those, check out the partner impact stories. In this post, we follow Walt Doyle of DonorsChoose.org to learn how he navigates the 100Kin10 network to help accelerate his organizational goals, while moving the needle against our shared challenges. As a former community organizer and campaign strategist, finding and building partnerships is second-nature to Walt. Walt is the Senior Director of New School Activation at DonorsChoose.org, an online nonprofit organization that enables everyday people to fund individual classrooms which cannot afford essential learning materials for students. Through their commitment to 100Kin10, DonorsChoose.org has inspired 50,000 everyday people to invest in STEM learning at public and middle- and high-schools, delivering $15 million in critical classroom resources to 600,000 students nationwide. Drawing on his successful experiences, Walt has a few tips to help other partners make strategic and meaningful connections within the network. Tip #1: Find fellow partners who have overlapping or compatible goals. For example, an important DonorsChoose.org goal is to give rural, underfunded schools access to STEM materials; and they identified the south as an area with a particularly high concentration of high-need, rural schools. Unfortunately, DonorsChoose lacked the local resources and contacts to effectively begin work in those regions. Walt recognized the 100Kin10 network as a great resource to bring this vision to life, so he went to the 100Kin10 partner page, asking, “who is already doing great work there?” He found the Tennessee Department of Education, whose 100Kin10 commitment is to “form a series of Regional Hubs through the Tennessee STEM Innovation Network (TSIN) that will identify and maximize best practices in STEM teacher support and professional development for replication across the State.” Excited to find this potential “intersect,” Walt’s next step was to contact TSIN and explore that potential collaboration. Tip #2: Contact and collaborate with those partners. Walt called Wes Hall, TSIN’s Director, who informed him that TSIN was already doing active outreach to classrooms in rural areas—often to teachers without any prior STEM experience. This synergy gave the two partners an idea. In tandem with TSIN’s upcoming outreach program, DonorsChoose.org would work with TSIN to understand teachers’ STEM resource needs and to find ways in which they could help teachers access these resources and materials in a way that didn’t feel burdensome. Through these opportunities and conversations with teachers DonorsChoose.org was able to answer questions including: “What is holding you back from having an effective STEM classroom? What tools do you need? What are you afraid of when you hear the word STEM?” Walt learned that basic STEM materials can go a long way to jumpstart a classroom and that teachers were spending too much of their valuable time trying to locate individual items. This feedback gave Walt another idea: why not group these basic materials together in one package to help teachers save time? To see how DonorsChoose.org made this work, check out Lakeshore Learning’s “STEM bundle,” an easy way for teachers to bring basic materials into the classroom with just one click. Now, because Walt found and followed this “intersect” with the Orchard Foundation, over 280 new Tennessee schools have access to STEM materials - and the word continues to spread. Tip #3: Stay in touch with the 100Kin10 Team. Walt knows that the 100Kin10 team wants to do its part to help partners navigate the network, connect with the right people and make progress toward their goals. 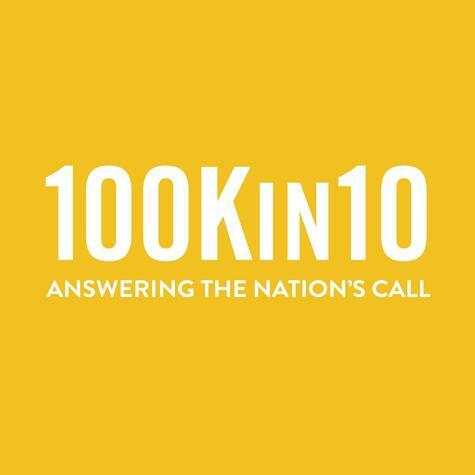 100Kin10 has annual calls with partners to stay current regarding their progress and actively facilitate connections with potential collaborators. Walt isn’t shy. About every other month, he touches base with Julie, via phone, email, or in person. The Louisiana partner agreed. A month later, 12 new Louisiana schools had access to STEM learning materials and DonorsChoose.org’s newly created STEM bundle. Now these two partners have “a monthly touch point” to continue their momentum. 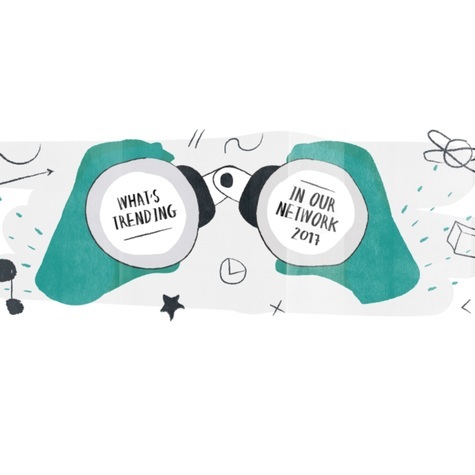 Tip #4: Create innovative opportunities to find new allies in the 100Kin10 network. Months before he was set to attend the 2016 annual South by Southwest Festival (SXSW) in March, Walt reached out to Julie to see if 100Kin10 or any other partners would be in Austin for the busy, nine-day conference. Learning that 100Kin10 staff wouldn’t be in attendance, Walt asked: “is there anything that I can do?” Walt took initiative. “He just stepped into help,” observed Julie, and 100Kin10 gave him a small budget for food and drinks and put the event in the weekly newsletter. Walt arranged for the space, contacted other partners via email to generate interest and got the event listed on SXSW schedule. Suddenly the two partners were planning to join forces to identify low cost, innovative ways to approach STEM in the classroom. A few months later, DonorsChoose.org and CDE received a 100Kin10 Collaboration Grant to fund their meeting in California where they would begin designing an innovation challenge to present to teachers at the 2016 California STEM Symposium in early October. The challenge invited teachers to create low cost projects on DonorsChoose.org, coupled with lessons for bringing those materials to life. It was a smashing success. The five best ideas were selected to showcase how STEM instruction does not have to break the bank. Examples include Bring On The Heat - We Need A Hot Plate and 2D to 3D - Bringing Ideas To Life. Eventually, DonorsChoose.org and CDE hope to share these best practices with teachers across the country. Each individual 100Kin10 partner has its own STEM challenges, yet, many partner goals and their associated challenges overlap - or, as Walt puts it - “intersect.” We hope that Walt’s proactive tips and in-the-field examples can provide guidance and inspiration to other partners looking for innovative ways to spark meaningful collaborations within the 100Kin10 network. The urgent need for stronger STEM education continues to be a nationwide problem, too large to tackle alone. To have a greater impact, we encourage partners to actively and intentionally engage the 100Kin10 network, within and across state borders.